Chintan International Trust is a an organization with a humanitarian mission that started on 26th January 2007 in the UK. It is a non-profit, non-religious, non-political group which is now registered as Charity No 113345 in the UK and as a trust in India. Our current focus is on the Himalayas. Volunteers, especially doctors are required for Himalayan Hospitals and medical camps in Uttarakhand in North India as a part of our Deodar eco-health program. 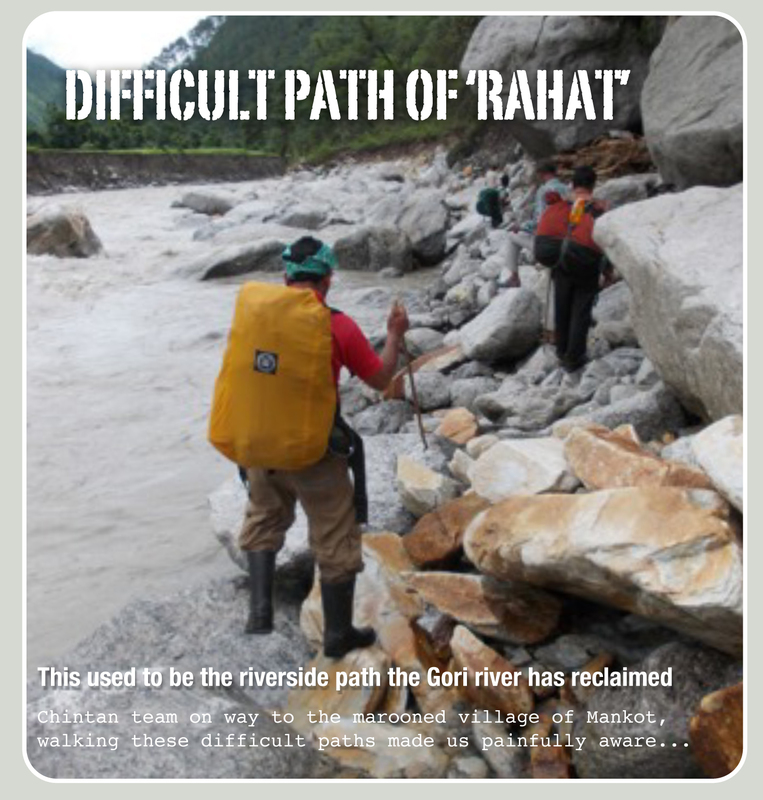 Due to recent disaster in Uttrakhand (India) we are fundraising for our ‘"RAHAT"’ - 'Relief Access & Habilitation with Appropriate Training' Program to provide relief and help empower local communities to rebuild lives in a sustainable and self-reliant way. ! Register your support. Multi-day cloudburst in Uttrakhand claimed more than 5700 lives..